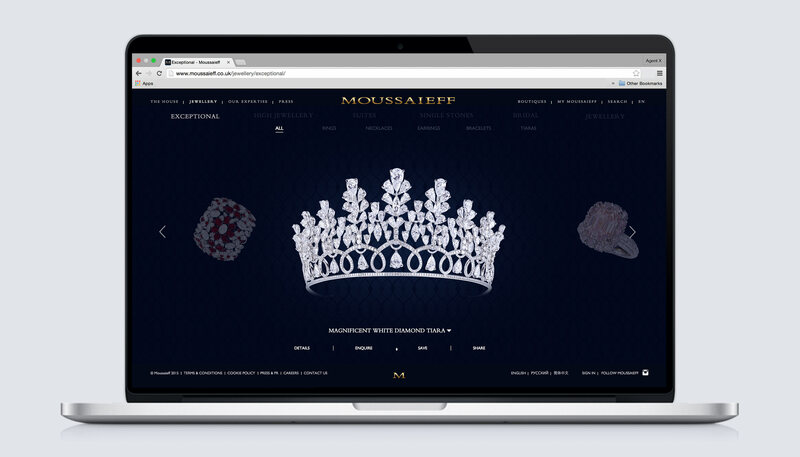 Brand overhaul and website design for one of the world’s most prestigious diamond houses, Moussaieff. 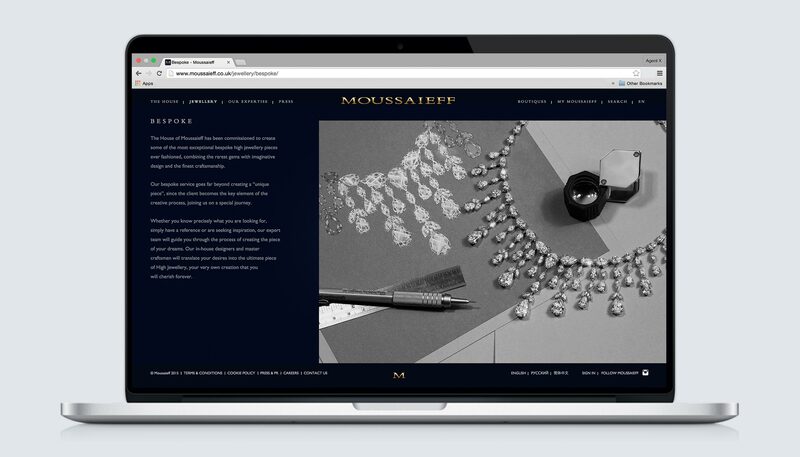 Taking design references from their flagship boutique on London’s Bond Street, the website speaks of entering a space that is precious and of enduring value. 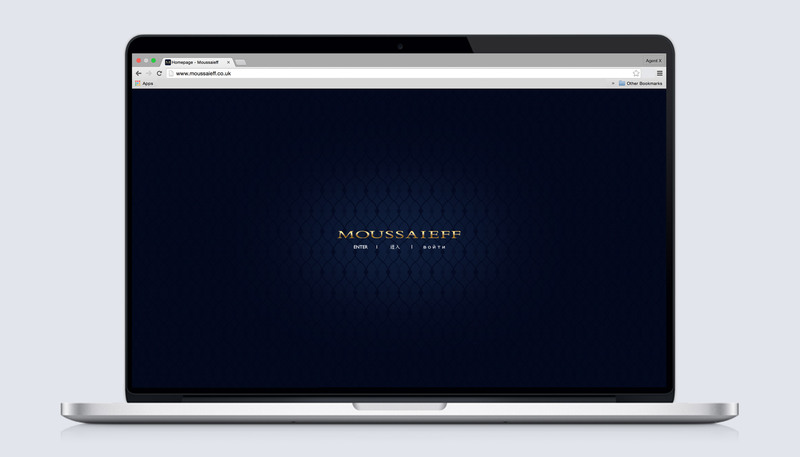 We also gave the logo mark a careful update. 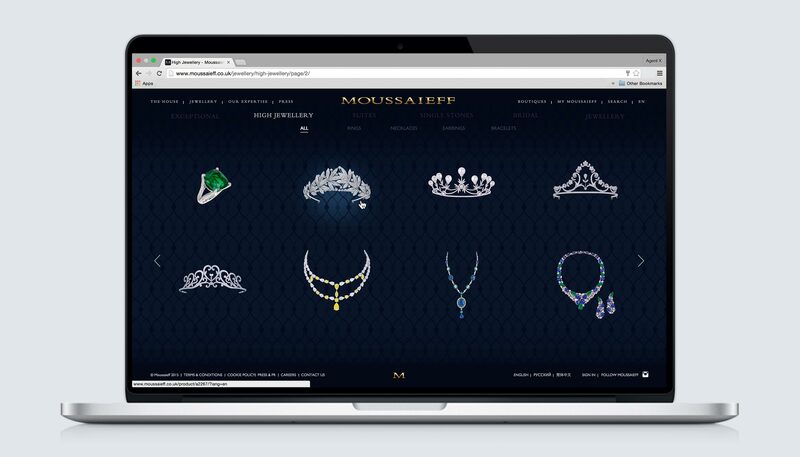 In the site, the pieces are showcased with a sense of intimacy in mind, and visitors can log in to ‘My Moussaieff’ and save pieces to their ‘Jewellery Box’, delivering an experience that is user friendly yet discreet in look and feel.